ACOs, clinics, hospitals,NPs, any mobile provider and any physician practices looking to increase their productivity by at least 30%. National payer coding engine for clean claims. TABLET BASED!. Radekal EHR and PM is a secure Cloud/SaaS based management software that is easy to use and mobile for home or in office care. Radekal is a turn-key solution that is also highly customizable . Full access to all data is provided. Radekal PM has been in use for over 12 years. 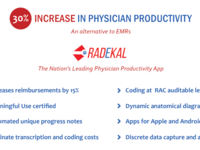 Seamlessly integrates with our Radekal APP productivity tool to increase productivity by over 30%, reduce paperwork and provide compliance, including MACRA - MIPS. Also has small mobile telehealth unit. Pros: Easy to learn and use and works every time. Support rarely needed but is there when I need it. Very affordable for what you get! Cons: Not fancy but works every time. Overall: I have been using this product for over 5 years and it has never let me down. It is not free or cheap but gets the job done right and fast the first time. I have found the FREE cost's me money and CHEAP is cheap for a reason. 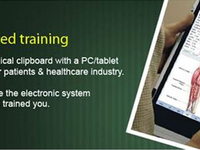 Comments: I have seen100's of EHR's and used many. I was amazed when I saw Radekal. 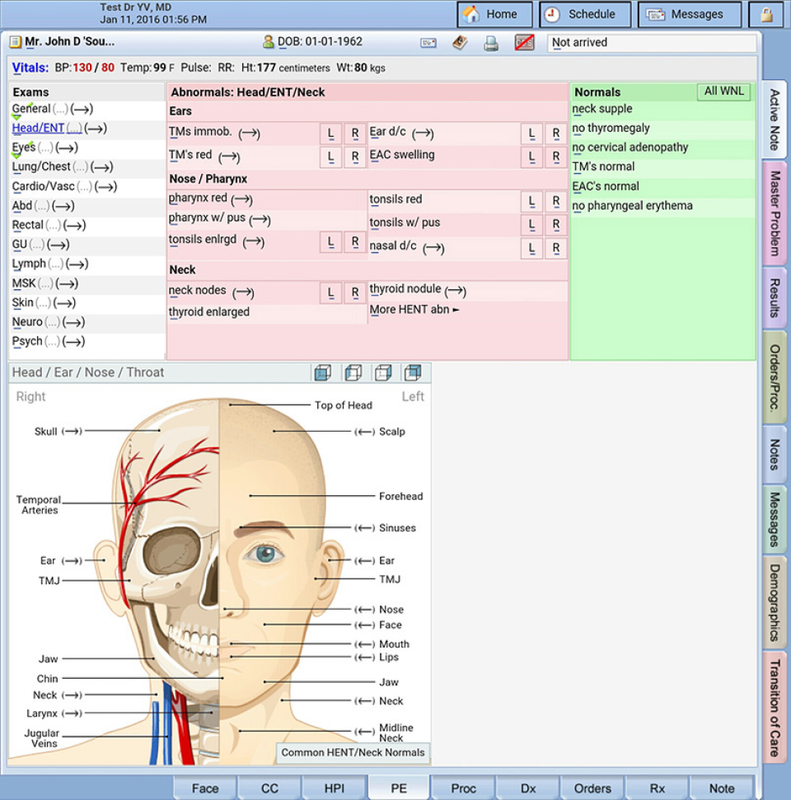 It is a great example of an EHR/Productivity Technology Tool. 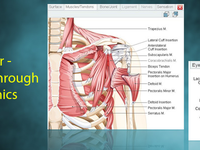 With more than 4,000 drill down anatomic diagrams linked to diagnostic algorithms, this leads the provider and engages the patients through an expedited clinical encounter. It markedly speeds up the clinical visit easily by 30%, has the visit fully documented, and is coded at the highest audit proof levels in real time, ready for me to sign off. This allows me to concentrate on the patient, see and spend more time with the patients, and not have my head buried in a computer. Pros: Easy to learn and The support is very handy. The one page training manual was a brilliant touch,I was maneuvering through the system easier then my new iPhone lol. Comments: After two demos in which we were assured that Radekal was a Mac-compatible offering, we requested access to a trial run through, which was not feasible by Radekal's business model. We foolishly moved forward on the set-up and first month's charges, only then to discover that the Mac-compatibility is through a Windows operating system from a remote desktop. We needed a seamless solution from PM to billing, and this simply wasn't it. Cons: It's really not a seamless integration from PM to billing and claims; although it's billed as a Mac-compatible offering, the PM is only accessible via a Windows operating system, which unfortunately was not really explained to us until after we had paid for initial set up and first month. The review and scoring should be read with the understanding that this client never used the product. The clinic never used Radekal in a clinical setting despite signing an agreement and having the company doing a costly and customized set-up. The clinic¿s cloud account was live and ready for over one month. This client changed its mind after 5 separate demos, having all? S answered over a 6 month period and then signing a month to month agreement. Despite being given numerous options to have offsite staff remotely access the scheduling module, the client chose not to utilize any of them. This has never been an issue with the product and any other client. Pertexa was fully supportive of this client¿s decision . The company terminated the monthly contract immediately but since there was not a valid technical reason no refund was offered. 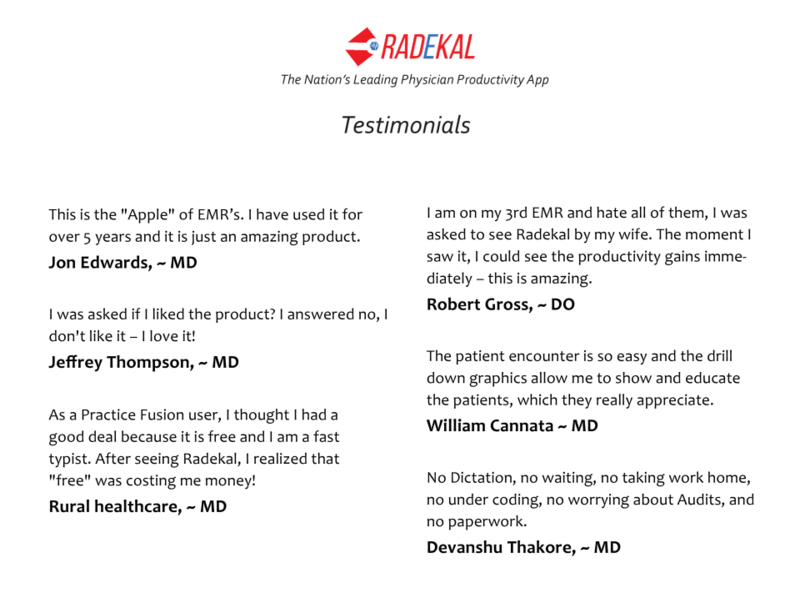 Comments: I was on my 3rd EMR and I hated all of them, I was asked to see Radekal by my wife. The moment I saw it, I could see the productivity gains immediately - this is amazing! I have a passion for rural health and could see how this adopted into telemedicine could change the way we bring greater medical access and care to the rural communities. An excellent product and now with RoboRITA, their telemedicine offering, the combination is just what the industry has been crying out for. Comments: I have been using the software behind Radekal for almost a decade. When I first saw this software in 2006, I realized there wasn't another system like it in existence. 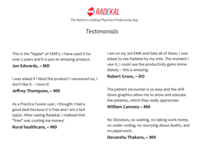 Even an untrained user can pick Radekal up and begin using it productively in less than an hour and be seeing the same (or more) number of patients within a week or two of initiating use. 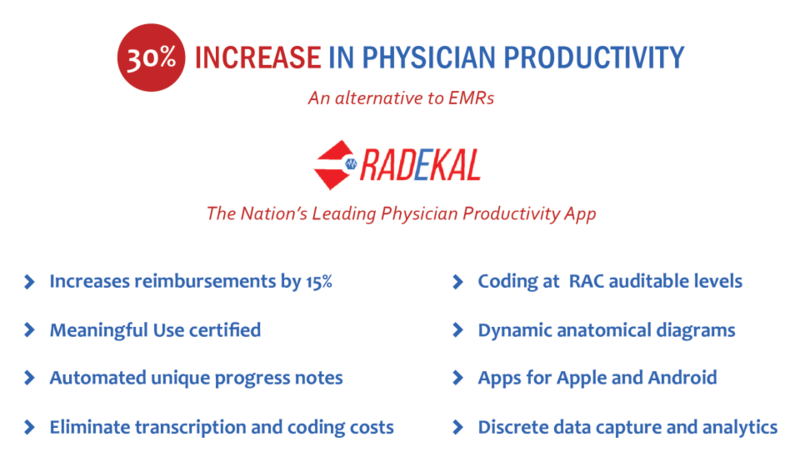 Radekal is more of a productivity tool than a standard EMR. Coding with ICD-10 and visit complexity is quick and easy, and the system indicates the appointment level your documentation will support. Notes are narrative rather than computer-generated pages of checkboxes. The company is responsive to users' needs and request, and tech support rapidly tracks down and fixes problems. This produce is actively being maintained and improved by the company. Good results out of the box! Pros: The ease of writing notes is the winner for this vendor! 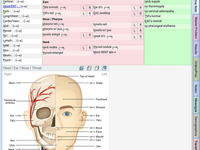 Just by touching and selecting parameters in the CC, HPI, and your findings in the physical exam - Radekal creates a distinct note (never the same) in just seconds! Very easy to use, updated and actively maintained by the developers. They've been working on this system for many years and it shows as it surpasses the speed and usability of many lesser products currently in the marketplace. Cons: I have yet to run across anything that sticks out like a sore thumb. Recommendations to other buyers: Set up your common general exam findings as a template! So easy to kick one off when one click will pre-fill 90% of your predefined normals, then easily and quickly add the abnormal findings if any. If everything is within normal limits you can click ALL WNL and voila! Just Like in Medical School! Comments: The patient encounter is so easy and the drill-down graphics allow me to show and educate my patients, which they really appreciate. I went through the program steps just "The way I was trained at medical school". Comments: I was skeptical that it would do what it claimed; but was encouraged to give it 10 minutes by a colleague. The first time I was shown this, I could not believe the 1-page training guide. Then I saw Radekal in Action. After the first few minutes of being shown the basics, I took the product out of the demonstrator's hands and started using it for myself. As I was going through, I was asked if I liked the product? I answered no, I do not like it - I LOVE it!